Vice President Leni Robredo criticized the draft federal charter at the House of Representatives, which removes the vice president from the line of succession in the transition government. MANILA, Philippines — Vice President Leni Robredo has insisted that she is constitutionally mandated to take over the presidency in case President Rodrigo Duterte will not be able to do so. The draft federal charter at the House of Representatives excludes the vice president from the line of succession in the transition government. The transitory provisions of the draft charter appoints the Senate President as acting president in case of vacancy by removal, resignation, permanent incapacity or death. "The mandate of the vice president, is that whatever happens, she will take over. If you remove that mandate, what will be left?" Robredo said at the sidelines of an event in Bacolod City. Rep. Vicente Veloso (Leyte), chair of the House Committee on Constitutional Amendments, said this provision was included to avoid instability due to the pending electoral protest that former Sen. Ferdinand "Bongbong" Marcos filed against Robredo. Robredo stressed that an ongoing protest has not hindered her from fulfilling her duties as vice president. She also pointed out that Veloso himself faced an electoral protest when he won by a slim margin in the 2016 elections. "I would just like to remind him that my gap against Mr. Marcos was more than 200,000 votes. While he won by more than 100 votes. There is also a protest against him," Robredo said in Filipino. "Does that mean that before the protest was done, he should not sit as a congressman and he should not do his mandate because of the protest?" she added. The vice president noted that other lawmakers, including Senate President Tito Sotto, did not approve of the proposal, which she tagged as a desperate attempt to steal power from her office. 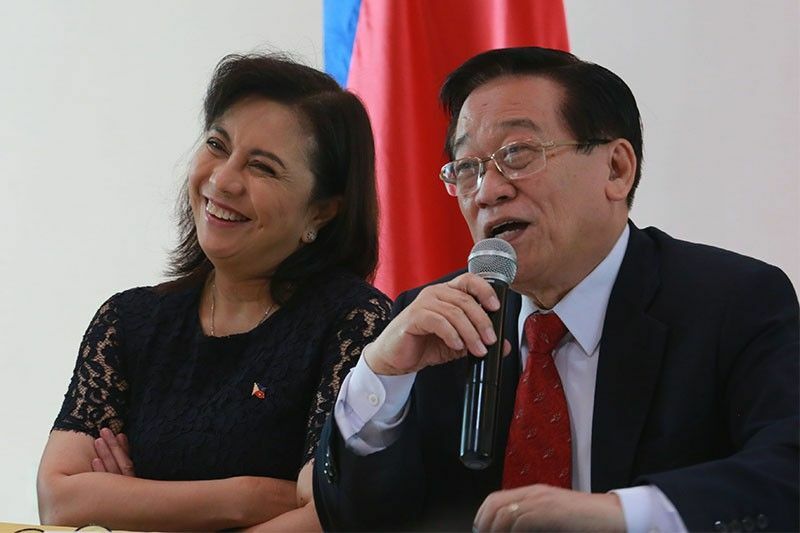 Romulo Macalintal, Robredo's election lawyer, earlier said the proposal was a mere "political calisthenics" that would never happen as both chambers of Congress do not have enough time to make a final draft charter. "The Senate and the House could not even resolve how they would vote, whether jointly or separately. There is still the need to submit the proposed charter for people's ratification and the process would involve substantial time and public funds which will never be achieved till the next presidential polls in 2022," Macalintal said. A city councilor and rights worker was gunned down on Monday afternoon, Karapatan said.